Perhaps you’ve heard the news about Twitter? While people on Twitter have always had a lot to say, they’ve been curtailed to a 140 character limit. That is, until now. That’s right! Twitter is doubling its character count to a whooping 280 characters. Now, keep in mind, not everyone has access to the increased character count yet. Testing has begun on a small number of accounts. The exact amount is unknown at this time but it is anticipated that it will be widely released shortly after testing is completed. This potentially opens up a whole new world for individuals like me (who tend to be a bit verbose). What is interesting is that not everyone has received this news with a warm welcome. In fact, many of the 330 millions users took to Twitter to protest the increased count (appropriately only using 140 characters at a time). 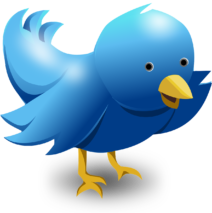 When Twitter was originally launched, the 140 character limit was arbitrarily chosen as a way to remain compliant within the 160 SMS limit of the time. Somehow, even though the capabilities changed, that 140 character limit just stuck around. It has been credited with forcing individuals to be to the point and helped catapult the social media platform into the collective consciousness as a quick way to communicate with others. I actually really like the idea of an expanded count. It opens new doors in regards to sharing links with summarizing paragraphs. This may help readers decide if they really do want to read on and, let’s be honest, scanning 280 characters at a time is not that hard. As with any chance, there will be naysayers, but I think it’s a bit too early to make a judgement call. In the meantime, I’ll be watching how this impacts the Twitter-verse and thinking up some witty words to put up on my account. I think I’ll start by sharing this article!